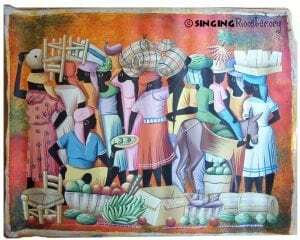 In this brightly colored painting, an orangish sky welcomes women to the beginning of a busy day at the market. Signed by artist Louis (bottom, center). 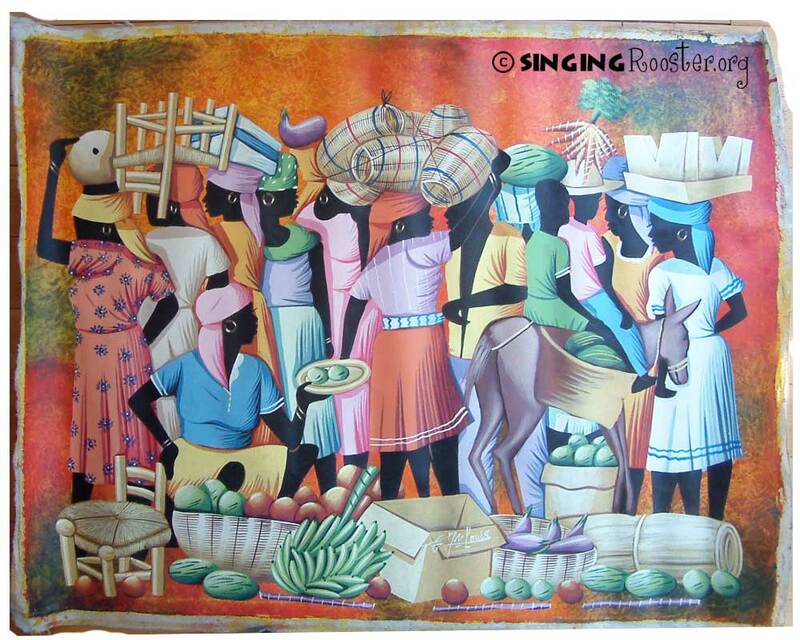 100% proceeds support small producers in Haiti through Singing Rooster.